The timing is a little weird on this but I thought it would be fun to post past Halloween costumes (kids or adults). It's probably too late but maybe it will give us ideas for next year! 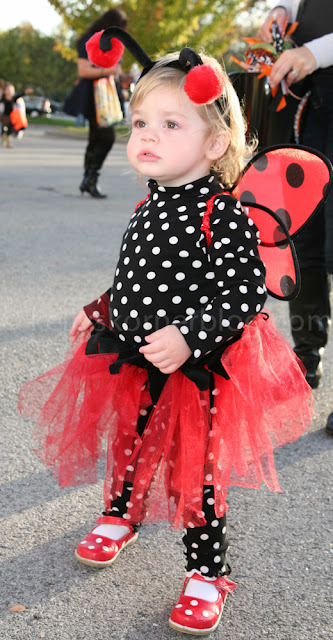 Harper was a little lady bug when she was almost two. I LOVED last year. Seriously - that pig costume KILLS me. For as long as possible - I want to dress the girls in a theme and hopefully Scott and I can join them. 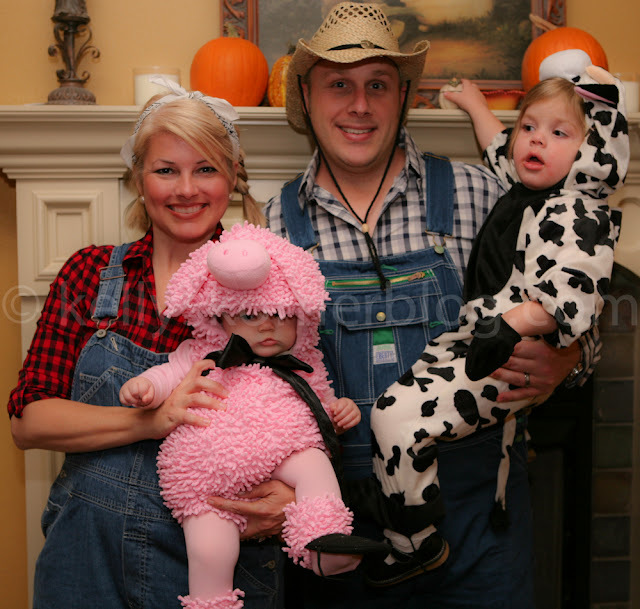 We were a farm family last year. So fun!! !